Bernie Hoyt (a.k.a.Bernie Bass),Bernie Hoyt is a NY State Certified Fishing Guide who specializes in surf fishing with over 30 years of experience. Bernie is a native Long Islander who was introduced to surf fishing by his father at a young age along the beaches of Fire Island. Today he continues to fish those beaches of Long Island; including the “mecca” Montauk, NY. He offers trips for all ages and skill levels. When not fishing the Long Island Outer Beaches and inlets; he conducts trips to Cape Cod Canal, Cuttyhunk, and other striper coast locations. He delivers informative seminars throughout the off season in hopes of assisting and improving anglers’ strategies and techniques; to spark a flame in people, especially the younger generation that may be interested in learning about the sport; and to inform anglers about “Catch and Release” and its relevance to the sport. 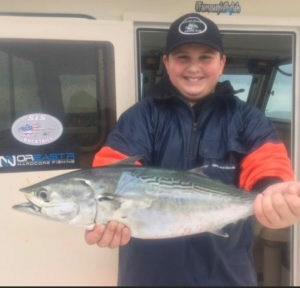 “I believe what makes me unique is my experience of becoming an angler at such a young age and my ability to get people of all ages excited about the sport of fishing. 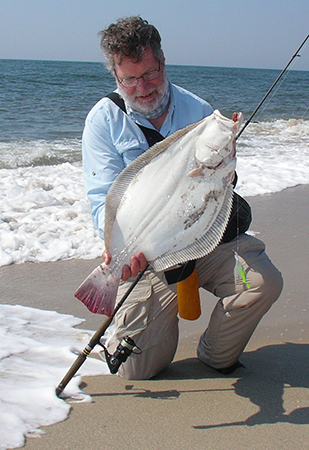 Bernie brings a wealth of knowledge and experience in the sport of surfcasting. Among his many strengths are the flexibility and experience to fish under various conditions and the willingness to learn and develop new strategies to be more successful. He currently writes a monthly article on surf fishing for IBASS360.COM. He is a team member for S&S Bucktails, ODM RODS, KASTKING, GOIN’EAST AND IBASS360. He is also a long time member of the Long Island Beach Buggy Association and The Montauk Surfcasters Association. John Skinner is the author of the books Fishing for Summer Flounder, Striper Pursuit, Fishing the Bucktail, and A Season on the Edge, and a contributing writer to the book The Hunt for Big Stripers. He was the long-time Surf Fishing Columnist and former Editor-in-Chief of Nor’east Saltwater Magazine. He has written many articles for Nor’east Saltwater, On the Water, and The Surfcaster’s Journal. His videos on the John Skinner Fishing YouTube Channel are known to anglers worldwide. He is the creator of the fishing log software, FishersLog. 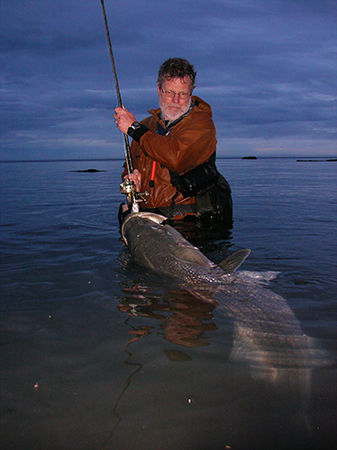 Skinner is a frequent speaker at outdoor shows and has a well-earned reputation as a consistent producer of trophy striped bass. He holds the current New York State false albacore record. When not plying the beaches, he can often be found fishing from his kayak, or Scuba diving in Long Island Sound. 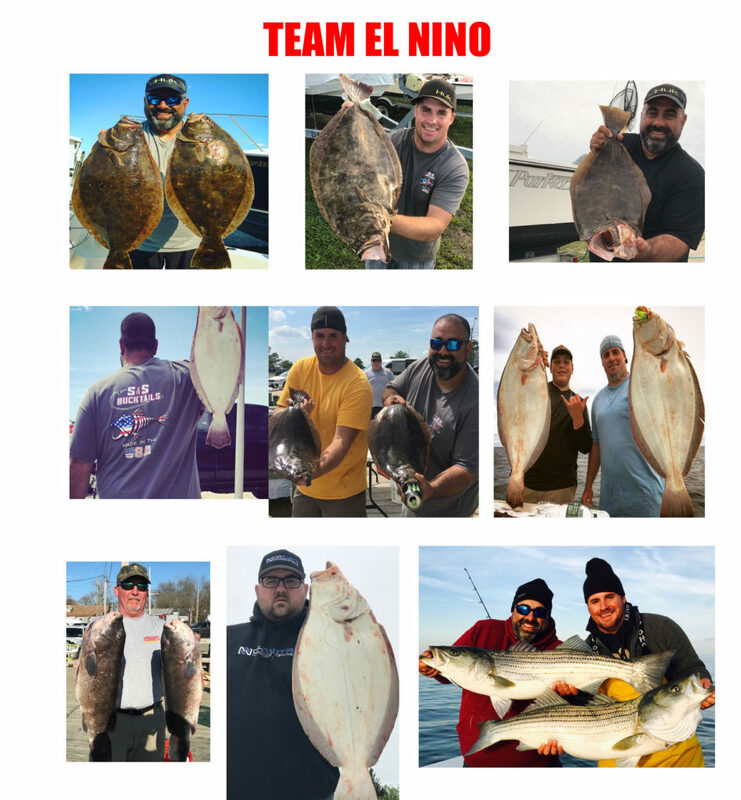 The El Nino Saltwater Fishing Team is based in Southern NJ. 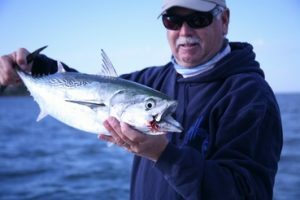 They are a group of seasoned anglers with collectively over 40 years’ experience on the water predominately growing up fishing around the waters off Wildwood, Cape May, and Delaware Bay . They fish all facets of saltwater from the back bays to 100 miles offshore. Including many tournaments and a grueling schedule of recreational trips. The team is on the water 10-11 months out of the year as many days that conditions allow. For their team a hobby has turned into a passion that they will keep pursuing for a long time. The traditional recreational fishermen keeps their boat in a slip for the season or trailers to their local waters. Every year the ELNino a (2320 Parker Pilothouse) stays on the trailer and they tow it to some of the most desirable places to fish on the East Coast. 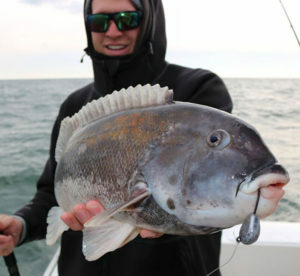 During their season they travel to most common coastal areas from Ocean City Maryland to Raritan Bay, Long Island, and Montauk New York selectively strategizing where the best place fish week to week. 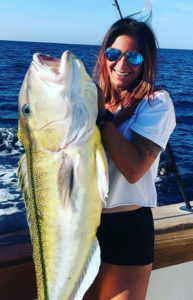 Doing so they have established a vast combination of exposure and great relationships with fishermen, charter captains, tackle shops, and tournament directors all throughout the fishing communities. The relationships, the memories, the laughs along the way is what keeps them living the dream. 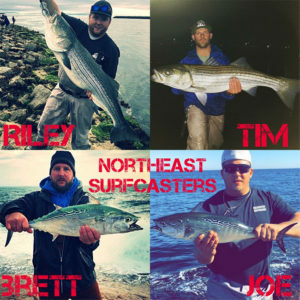 Northeast Surfcasters was founded in 2017 by four avid Surfcasters who have become more like brothers. As we are sure other Northeast anglers can relate, the bond and love created by this sport supersedes any other. To most, this bond & love we speak of is unexplainable and actually thought of by others as insanity! But if you’re like one of us that lives for that perfect tide, first light blitz, that nor’easter rolling up the coast, or just the chance that you could catch the fish of a life time, then you know exactly what we’re talking about! The four of us grew up fishing the north as well as the south shores of Massachusetts. From a young age all of us have been 100% obsessed with surfcasting and the addiction has only intensified with age! We fish from New Jersey to Maine throughout the season but our primary areas are Cape Cod as well as Plum Island and the southern New Hampshire coast. We mainly target striped bass, gator blue fish and of course Albies. Zachary Frankel is an avid angler who has been fishing since he could hold a rod. 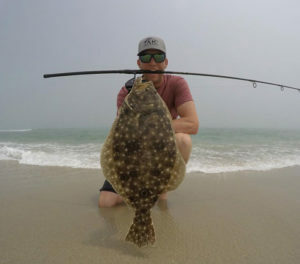 He has caught almost everything New Jersey waters have to offer from fluke all the way to tuna. He has grown up fishing for fluke, in Shark River, almost everyday during the season. He has been tuna fishing since he was 8 and does multiple trips every year. For the last two seasons (going on three) he has run an 18ft Maycraft called the “Fluke Aholic”. 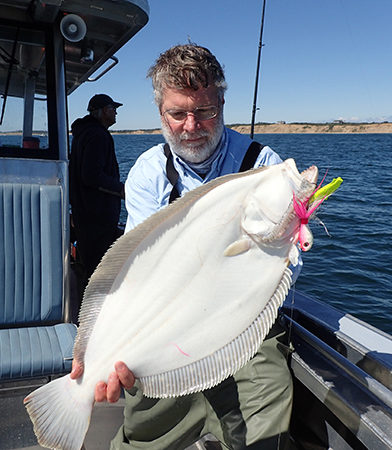 He uses his boat to target all of New Jerseys inshore species, especially doormat fluke. But New Jersey is not the only place he goes fishing. He often fishes down in Florida and Costa Rica for a couple of weeks out of the year. S&S Bigeye Series, tightlines and you see on the water. 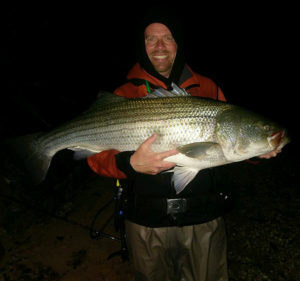 Kevin Lorenz is an avid fisherman from the Toms River area. 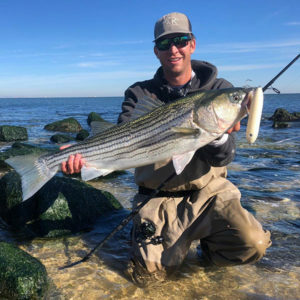 He targets all of the local species from white perch to tuna, His and bread butter is back bay and surf fishing for striped bass and fluke. He finishes Montauk and Alaska at least once a year and does multiple road trips when there are none locally. When on a boat, he mainly runs out of Manasquan inlet along with Barnegat Bay. 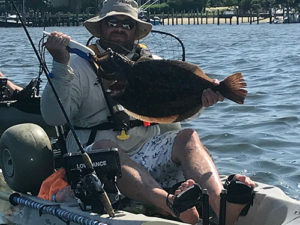 Capt.Brett Taylor is a licensed USCG Captain who has been avidly fishing the Barnegat Bay and surrounding ocean waters since he was a teenager. 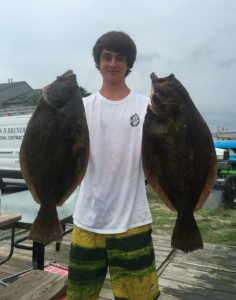 His specialty and favorite type of fishing is putting clients on doormat summer flounder/fluke and trophy striped bass. 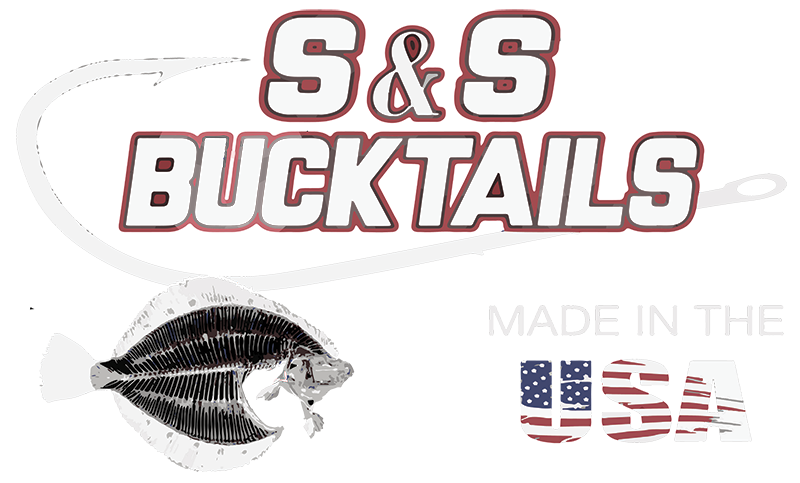 Capt.Brett played an integral part in the research and development of the S&S Bucktails “Bigeye Series” bucktail. In addition to working as a professional fishing guide, Capt.Brett has given over 20 seminars and published over 25 fishing articles for On the Water and The Fisherman magazine and technical articles. He is a member of Outdoor Writers Association of America(OWAA) and has appeared on numerous occasions as a guest on 97.3fm ESPN. “Rack and Fin Show” He is a certified Hooked on Fishing Not on Drugs (HOFNOD) instructor and teaches high school chemistry.When Capt.Brett is not fishing, he enjoys quality time with hos wife Jen and his son Luke. 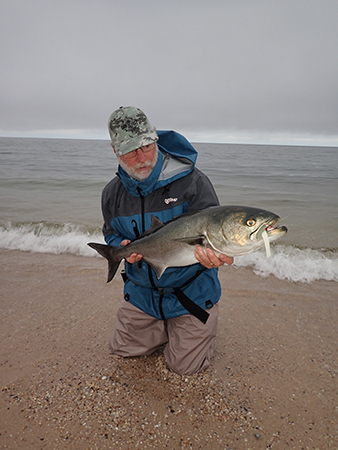 Northeast Boat and Kayak Charters with IGFA Captain Jerry Sparks offers tours, instruction and premier light tackle and fly fishing in the RI and C T Costal Waters targeting Striped Bass, Bluefish, False Albacore and Bonita. IGFA Captain Jerry Sparks, with his extensive knowledge and passion for Striped Bass fishing, can accommodate all anglers from beginners to the more advanced while providing them with new techniques and all the necessary equipment to create the best boat or kayaking fishing experience. I’ve been fishing since I was a baby, grew up fishing the Long Island Sound ,Smithtown Bay and surrounding areas for fluke and flounder. I also grew up fishing out of the Hampton Bays such as Tiana Bay and Shinnecock. I started working on party boats out of Captree at 17yrs. old, worked for the Viking fleet for one summer and worked for Hampton Lady last summer. 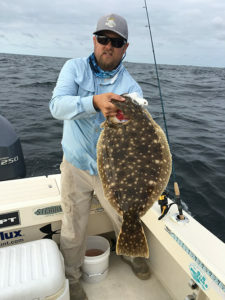 Fluke and Seabass have always been my main target species but the last 5 years I have gotten into togging, I have done a little offshore fishing and some sharking but determined to do a lot more this summer. I’m currently working with NYangler.com, dealing with customer relations while also attending nursing school. I started fishing at about the age 9. About ten years ago, I started fishing the back bays of south jersey. In due time, I became a specialist at catching fluke and blackfish. Now you can catch me fishing both the bays and shores around Atlantic City. My boat runs out of Brigantine and I also fish the surf and the jetties. I was also a guest speaker for the 2019 Salt Water Sportsman National Seminar. I am currently studying to get my captain’s license.